HA NOI (VNS) — Vietnamese Le Quang Liem stood seventh out of 113 players in the rapid discipline at the FIDE World Rapid and Blitz Championships 2014 in Dubai, United Arab Emirates, yesterday. 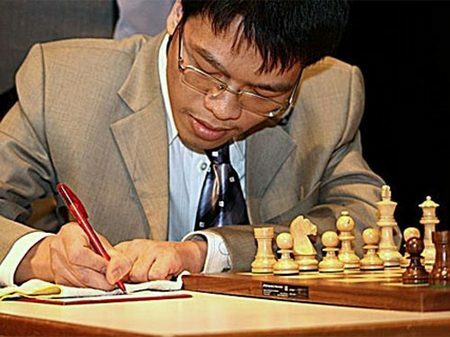 The HCM City-born top chess player Liem scored four points after five matches. He defeated Ehsan Ghaem Maghami of Iran, Yangyi Yu of China and Viktor Bologo of Moldova and tied with Ipatov Alexander of Turkey and Loek Van Wely of the Netherlands. Liem's teammate Nguyen Ngoc Truong Son scored three points after one win and four draws to rank 27th. The rapid championship consists of 15 rounds and will be held in the first three days, followed by 21 rounds of the blitz championship.